Summary: A common question that is still a mystery is ‘Why does my puppy eat grass?’ Will eating grass hurt my puppy? We attempt to ease your concerns about your puppy eating grass. Why do Puppies Eat Grass? A common behavior that is a mystery in human minds is Why does my puppy eat grass? No one seems to know for certain why some dogs like to eat grass; however, we definitely know that some do! Some people say it may be a nutritional deficiency and others say that eating grass will settle a dog’s upset stomach. If your puppy occasionally eats a small amount of grass that hasn’t been chemically treated, there should be no need for you to worry. 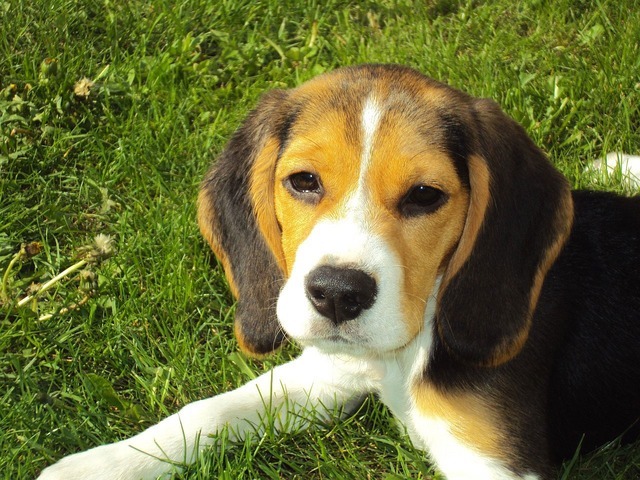 It is important to not let your puppy eat or play on recently chemically treated grass. Some chemicals can cause severe illnesses in dogs and puppies and perhaps even death. Just always be aware of your surroundings.